California’s four yearlong drought might make Chicagoans thankful that the city is located next to Lake Michigan, but toxic algae have become such a serious threat to the Great Lakes that more than 400,000 people were without drinking water during a nasty outbreak last August near Ohio and southeastern Michigan. 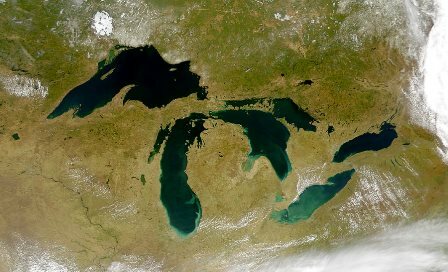 Last weekend, the nonpartisan Council of Great Lakes Governors held a summit in Quebec and agreed to tackle the problem by cutting phosphorus runoff that sparked the water-polluting algae blooms by 40 percent in the next 10 years. Resulting from that summit were two resolutions that establish how to prevent another toxic algae bloom. We’ll talk Alliance for the Great Lakes President and CEO Joel Brammeier and Metropolitan Water Reclamation District of Greater Chicago Executive Director David St. Pierre about last weekend’s summit and the economic and technological advantages that Lake Michigan provides to Chicago.